The dishwasher contributes to efficient clean-up after a good home-cooked meal. It could also likely be considered the cornerstone of the major kitchen appliances. 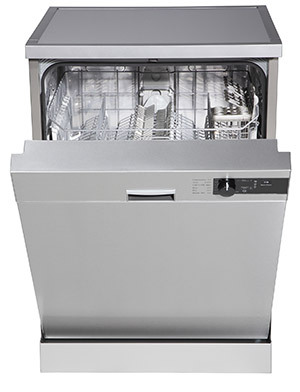 If you are experiencing what may seem to be a small issue with your dishwasher, contact us right away. Water damage can be a potential issue when dishwasher repair is needed, so don't hesitate to call. Most of us know just how costly property damage can be when a leaking dishwasher goes unrepaired. We can help with diagnosing all types of your dishwasher repair issues. We also replace dishwasher parts; perform standard dishwasher maintenance, and all other types of dishwasher repair services. Our licensed technicians service all brands and models of dishwashers. You can rely on our fast and effective dishwasher repair service. 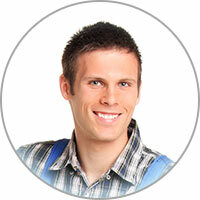 We offer dishwasher parts and dishwasher repair in Escondido CA and the surrounding neighborhoods. Don't put off calling for help another minute. Attempting to make your own dishwasher repairs yourself, without proper training can jeopardize your safety, as well as cause additional damage to your appliance. So when you are in need of dishwasher repair or dishwasher parts in Escondido CA, let us alleviate your dishwasher repair problems for you. We would be happy to have the chance to convert you to becoming one of our lifelong customers. You must always be careful with what you put in your dishwasher. Not everything that is dishwasher safe will have a label saying so. This leaves many people using their own judgment when deciding what to wash in their dishwashing machine. Some items you might think are okay to put in, but are not, include: bras, shoes, hats and other pieces of clothing, brass, bronze or cast-iron cookware, keyboards and foil-wrapped fish. Sometimes it's just a matter of common sense; if you aren't sure if something is dishwasher safe, chances are it is not.